Bailey Granier is leaving Vandy as a grad transfer. 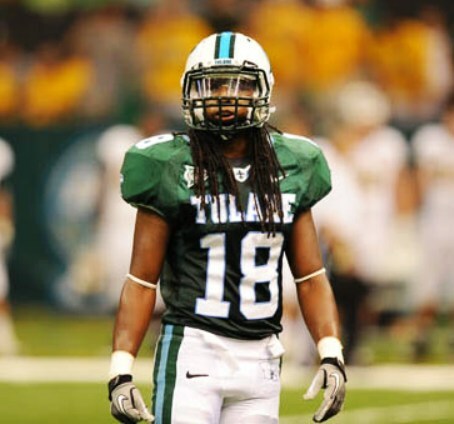 He is from LA (Galliano, La/ South Lafourche) and when Franklin left Vandy he briefly decommittted and looked at Tulane, but went back to being a Vanderbilt commit. He has played as both a RT and RG while at Vandy. 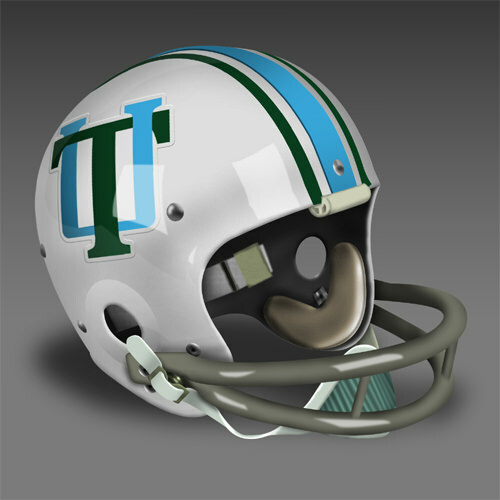 Think Tulane will show any interest now? That would be a welcome addition. He and Sehic would have overlapped, right? Hopefully Sehic is helping recruit. As a one year grad transfer, no reason not to take him. Worth it for the depth even if he doesn't start. Hopefully he's interested. He'd give us another senior to replace for 2019. IMO we should replace Leeward Brown with a 5th OL signee to come out of HS or at least one with more than one year of eligibility. This. If he were D-line it would be awesome. He looks to transfer somewhere where he will start. We return all starters and I would prefer the underclassman get any reps for experience purposes. Bailey Granier makes it official. He's transferring to Tulane for graduate school. Awesome. We need all the OL we can get. Does Knighton still have any eligibility? I would think he's done. Knighton was supposed to have 2 years to play. My only reservation with this is that we already have a lot of seniors for next year, another would just increase the size of the rebuilding job. He certainly lengthens our rotation for next year, no doubt. So welcome aboard. Redshirt the freshmen. Worked for Grobe at WF, should work to our benefit. Dublin will be the leader of this new OL bunch anyway, I'd much rather have upperclassmen on the OL than Freshmen & Sophs. Dublin will be our future workhorse, but he made of lot of freshman mistakes in 2017, as you would expect. He'll be better physically and mentally in 2018 and the new guys will benefit from a year in the weight room. It's all good. On the upside, if these guys can help us demonstrate that we are an up-and-coming world-beater, our recruiting should soar. As long as the numbers work, that would be the ideal plan. This guy is going to be an on field coach and hopefully bring a mean streak and intolerance for mental mistakes. I think (hope?) he'll be like Glenn Davenport was a few years ago; step in and immediately become the best lineman we have. Solid pick-up! Last time we got a 5th year transfer lineman from an SEC school we went bowling. I bet he continues the streak. Another reminder that it is easier to get Vandy and Miami grads into Tulane than transfer JC credits. I get the arguments above that in effect you should only use grad transfers for "major" improvements because of their short shelf life. But if it helps on the margin then why not? This is not exactly a "win now" philosophical argument but Fritz going into his third year wants it to be a winning one. Granier in his own way should help that. Plus he is another local guy so good move there too. I'm glad for it. We need to win next year, and he'll help that to some degree. Especially with linemen, redshirts for youngsters are a good thing if you can manage it. I agree. I think that redshirts for linemen seems to be more helpful than other positions, because the weight training and added bulk that can be added as a freshman certainly helps in the future. As such, if he facilitates 1 or more frosh to red shirt, so much the better. I think it's a win in so many ways. Highly recruited. Has the impressive SEC cred: 4 years in an SEC strength program, starter on an SEC team and SEC size (sorry, but 6'4" 280 and 6'3" 290 - our starting guards - ain't the same as 6'6" 316 when we are trying to get that one yard on the goal line). Plus smart guy coming from a smart school who will be able to pick up anything thrown at him. IMO, the only question remaining is his fire. Davenport had both above average ability and was ready to finally PLAY after sitting around in BR for a few years. Knighton, OTOH, was missing either the ability or fire to replace Diaz. I thought we signed all of our commits from last semester. Am i confused again?